Hi, and happy Friday! I hope you've had a great week. Friends in the US, I hope you have a fantastic Memorial Day weekend! I plan on spending my long weekend knitting, spinning, spending time with my brother, doing some yoga, and checking out yard sales. I found six beautiful 1940s handkerchiefs at a yard sale a few weeks ago, along with a very sweet card with Gustav Klimt's The Kiss on the front. I'm hoping to find some cute vintage home decor this weekend. Here are a few of my favorite finds this week! 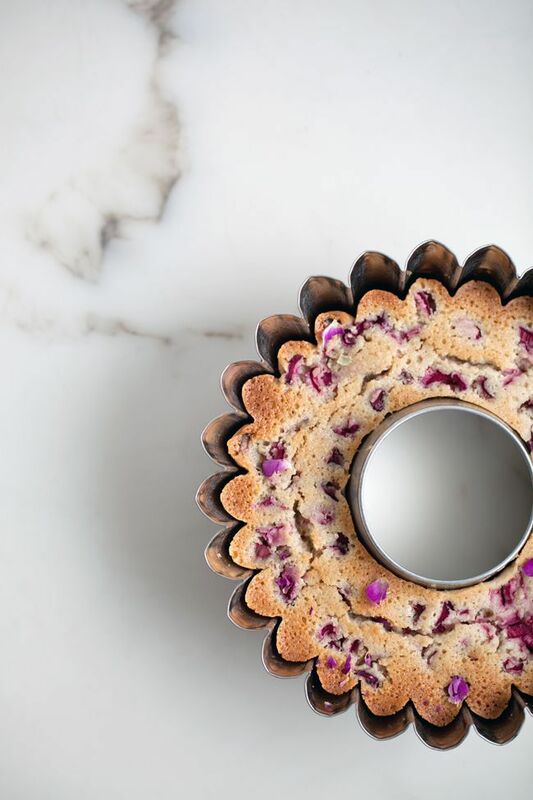 This rose and rhubarb cake sounds delicious, and I love how it looks in a fluted bundt cake pan. John Howe is a renowned Tolkien illustrator who was also a concept artist for Peter Jackson's Lord of the Rings and The Hobbit films. 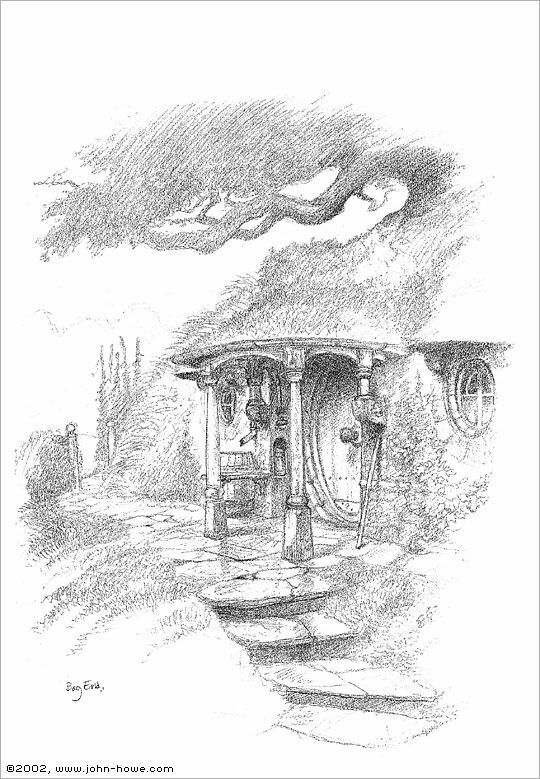 I've always had a special place in my heart for his drawings of Bag End. His vision of how Bilbo Baggins's hobbit hole should look is now so iconic that it's impossible to imagine it any other way. 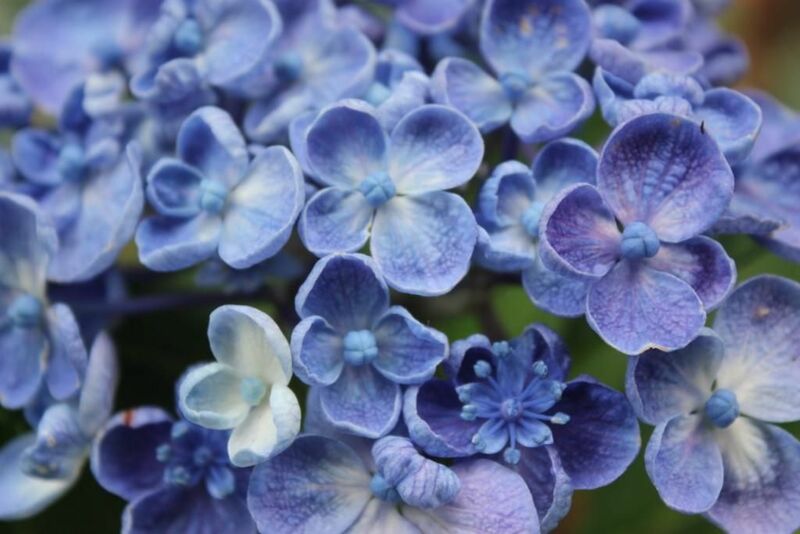 It's the season for one of my very favorite flowers-- hydrangeas! The blossoms in this photo look so lush and fresh! 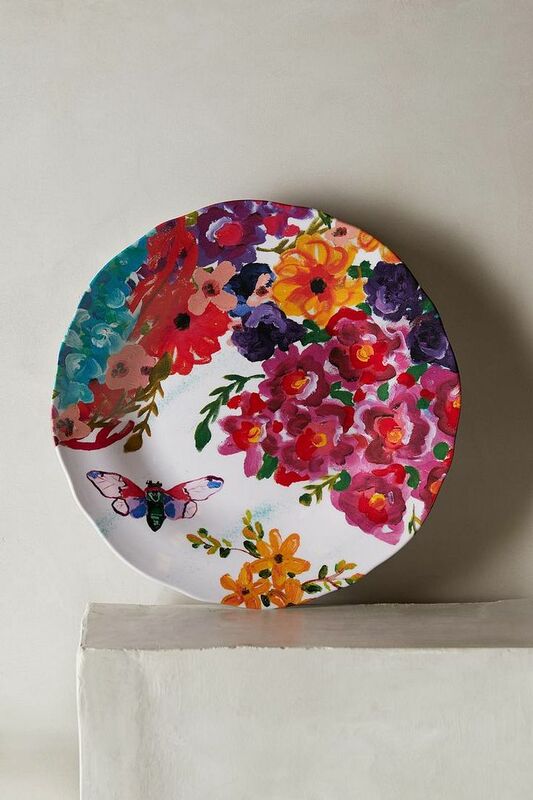 These plastic picnic plates from Anthropologie are so summery and bright! 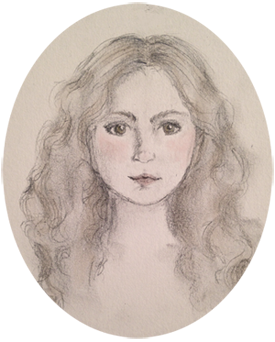 They're illustrated by artist Ashley Longshore. 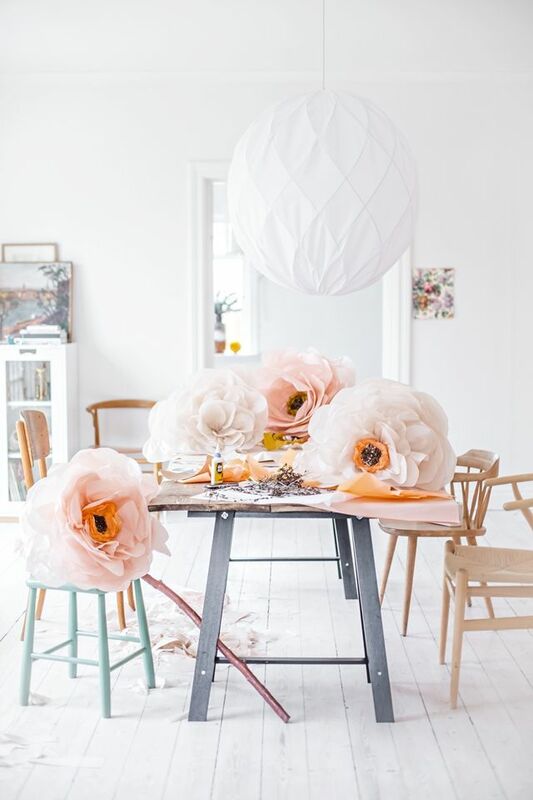 How fun are these enormous paper flowers from the blog Mokkasin? The instructions are in Swedish, but Google Translate does a good enough job that it shouldn't be too hard to follow.